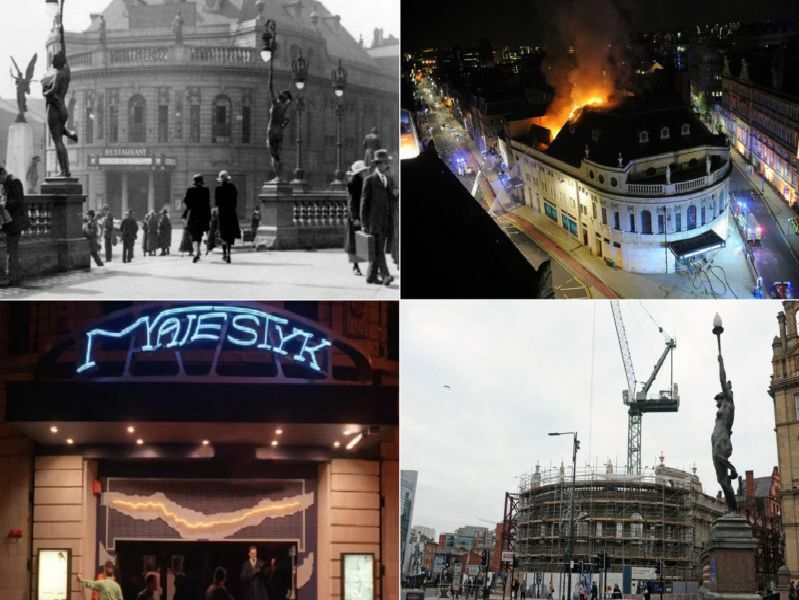 As speculation mounts that Channel 4 is going to move into the old Majestic nightclub, we took a look at the building through the years. It was one of the stars of the Leeds nightclub scene in the early nineties and noughties before a fire engulfed the building. 1. The Majestic began as a cinema. The inside of the Majestic Cinema in 1923 - one year after it opened. Photo credit: Mr. K. S. Wheelan and Leodis. 2. War memorial outside the cinema. In 1926 the war memorial was outside the cinema. This has since been moved to Victoria Gardens, Headrow. Photo credit: Leodis. 3. Now the Majestic Dance Hall. This picture taken on the December, 7 1935 shows the hall has now changed to the Majestic Dance Hall. Photo credit: Leodis. 4. The building covered in soot.